Malaria is a disease which is caused by a parasite in the Plasmodium family. The parasite is transmitted to humans through the malaria mosquito which thrives in a mild and humid environment. 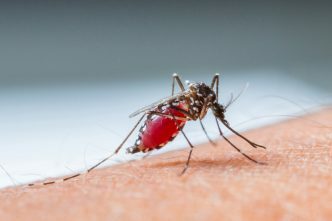 A mosquito can infect several people at a time and, in contrast to many other mosquitoes, malaria mosquito is most active in the middle of the day. The parasite is then reproduced in the person who has been infected, and people who have become ill can then transfer the parasite back to the malaria mosquito. The symptoms of malaria resemble several other diseases, such as flu, but very fluctuating fever is a typical feature. 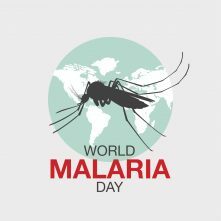 The disease is treated with a combination of antiparasitic medicines, and it is rare for malaria to lead to death here in Norway. However, in several low and middle income countries, drug access is not as good, and globally, approximately 500,000 deaths are estimated annually. In order to reduce infection, preventive measures are most important. Mosquito repellent ointments, use of mosquito nets, and to cover as much skin as possible. For tourists it is also recommended to take preventive medicines in some cases. There are different types and it may be good to talk to the vaccination office in the municipality where you live for recommendations and advice. What is really blood thinning medicine? What is antibiotic and antibiotic-resistance?